But this is a day for fresh starts, thank goodness. A crisp, unmarred page bursting with possibilities. I have a long list of goals for 2015, but my first order of business was to get back in the kitchen. 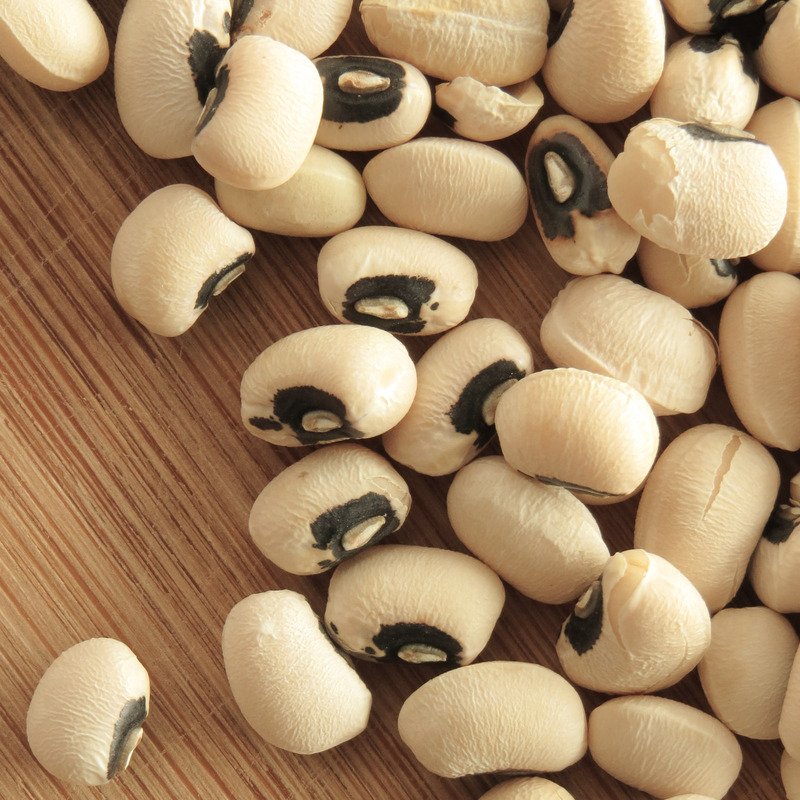 I’d never had black-eyed peas before moving to the south, but last year I adopted the tradition of eating them on January 1st for good luck. The stark contrast of black and white seems a fitting symbol for this holiday, when we draw a line in the sand between our old selves and new. Who couldn’t use a little extra luck with that transformation? This is great as a light lunch or side dish. 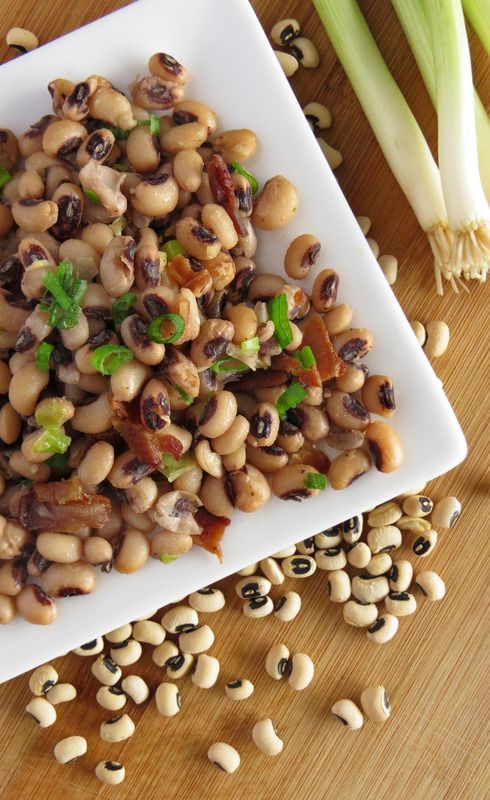 If you have a few spoonfuls left over, add a cup or two of chicken stock and enjoy a black-eyed pea and bacon soup. Place peas in a medium pot and cover with 4 cups water. This allows the peas to soften and reduces cooking time. Drain and rinse softened peas. Return peas to medium pot and cover with 3 cups of water. Bring to a gentle simmer and cook 1 1/2 to 2 hours, until peas are tender. (For this recipe, slightly firmer is better.) Drain and set aside. In a large frying pan, cook bacon over medium heat until crispy. Remove bacon and drain on a plate lined with paper towels. Add garlic and 1/4 cup green onions to pan and sauté until soft. Add black-eyed peas and stir until warmed through. Crumble bacon over the hash and add salt and pepper to taste. Sprinkle with green onions and serve warm. As an incredibly average cook, this post encourages me. (“See, even Chelsey cheats sometimes.”) I hope you have a wonderful new year. I always enjoy your blog posts.